A series of complex halo displays occured in Eastern Europe between 27 March and 6 April. The first display was seen in Vecsés, Hungary (observer: Ágnes Kiricsi). 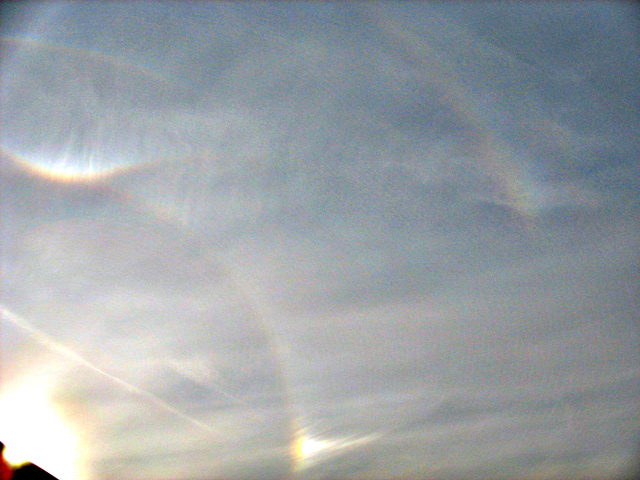 On 27 March, after the appearance of a bright circumscribed halo, a growing stretch of the parhelic circle came to sight ( 1 ) and 120° parhelion showed up on the left ( 2 ). The parhelic circle was complete for about 5 minutes. 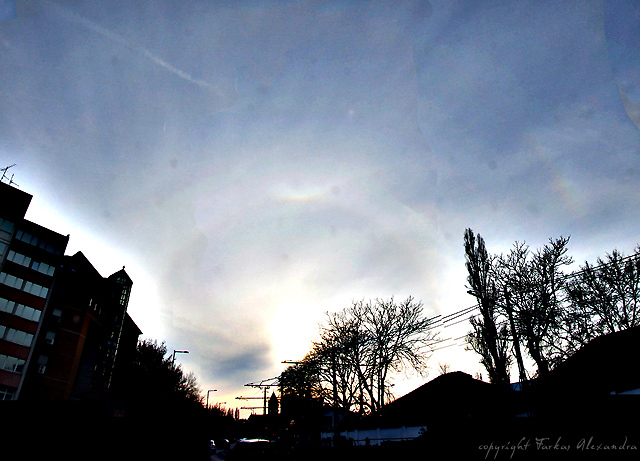 Close by in Budapest, a Tape arc was observed in the evening. Images were taken by Alexandra Farkas and Tibor Hollósy ( 3 and enhanced 4 ). They did not see other halos formed by Parry oriented crystals, but 7 km to the north of them and only 3 minutes earlier, Márk Laczkó had photographed an upper suncave Parry arc ( 5 - 6 ). The next Hungarian observations of complex displays with complete or almost complete parhelic circles were on 1 April (Ágnes Kiricsi in Vecsés) and on 5 April (Alexandra Farkas, Tibor Hollósy in "Remete" Gorge). 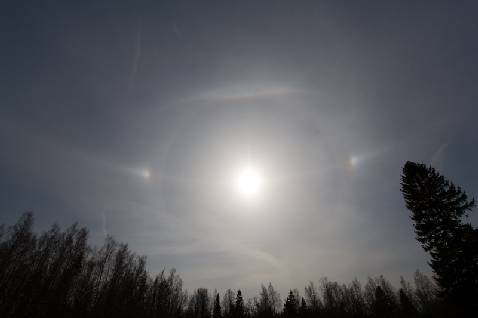 On 2 April, Marko Krusel had an opportunity to observe a complex halo display in Estonia, nearby Keila (see image on top). Besides all the common halos, he got an upper suncave Parry arc, a full parhelic circle and 120° parhelia. A fragment of the infralateral arc was seen on left. 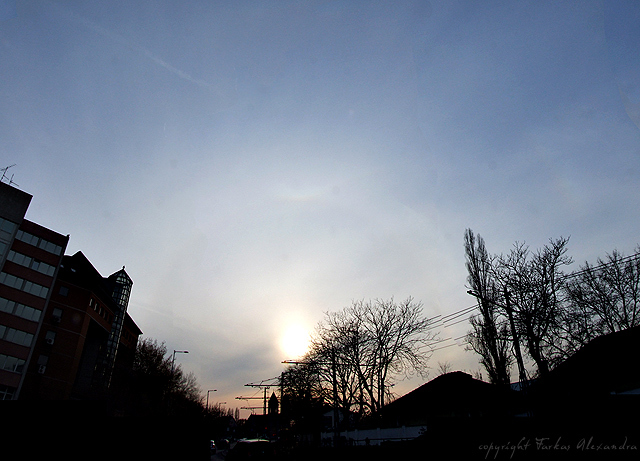 The show ended with the parhelic circle and 120° parhelion as the latest leavers ( 7 ). 6 April was a favourable day for the Czech Republic and Poland. 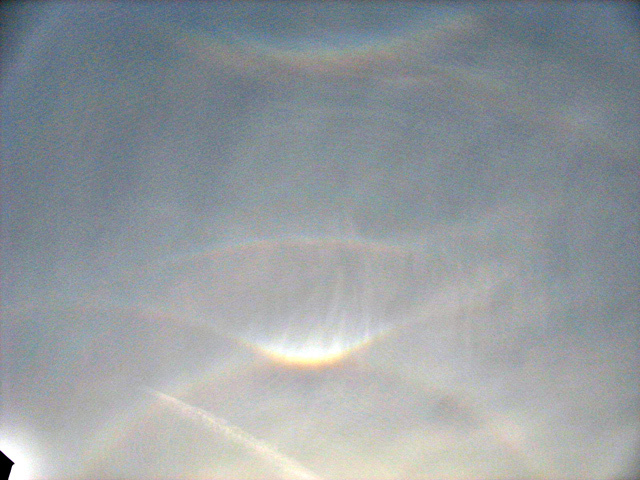 The Czech Matej Grek (Ostrava-Dubina) and Martin Popek (Nydek) both photographed complex displays with parhelic circles and bright circumscribed halos. 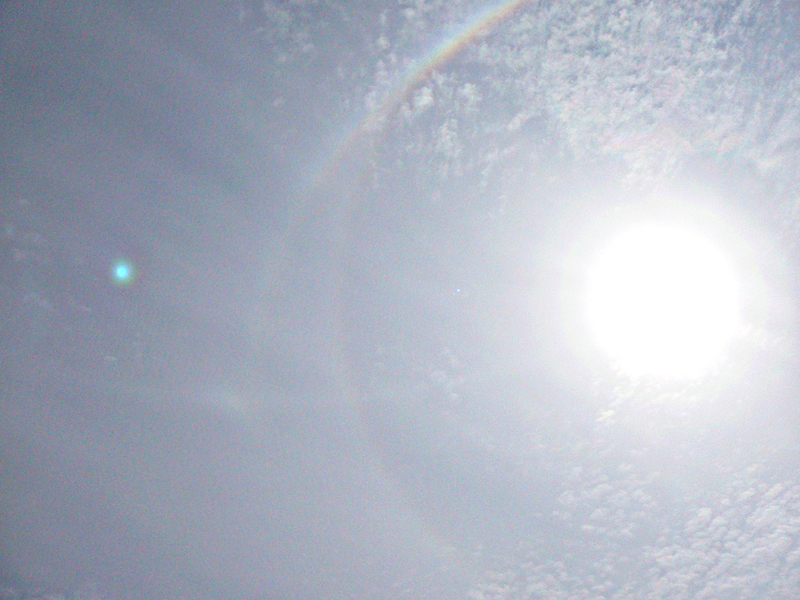 A 46° halo was also visible ( 8 - 9 ). In southern Poland Jakub Marchewka observed a display with full parhelic circle in Chrzanów ( 10 - 11 ). 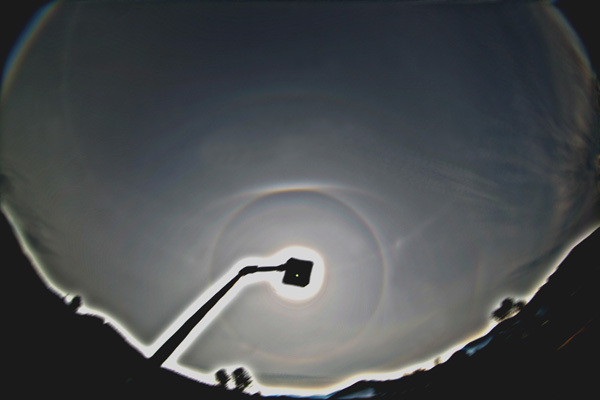 From the photos he noticed a faint Wegener arc ( 12 and enhanced 13 ) and 46° halo ( 14 and enhanced 15 ). It was a first observation of Wegener in Poland and one of the first of 46° halos. The latter was described by Johannes Hevelius on 20th February 1661 in Gdańsk, but it is likely that supralateral and infralateral arcs were the main contributors to the phenomenon.